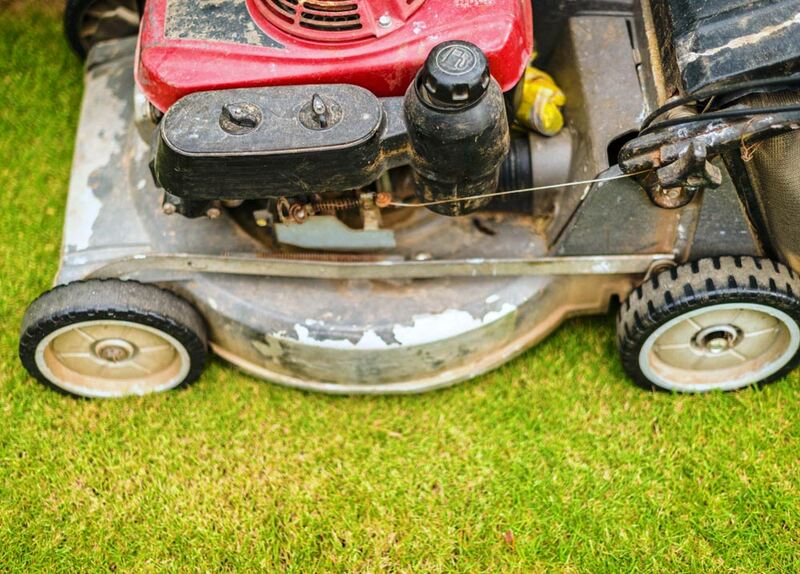 If you’re done aerating and getting your lawn ready for the winter, you’re probably ready to put your outdoor power equipment away. Did you know that outdoor power equipment needs to be winterized before it is stored for the fall? That helps avoid problems in the spring. The Outdoor Power Equipment Institute (OPEI) recommends for homeowners to service and winterize lawnmowers, string trimmers, leaf blowers and other outdoor power equipment after fall yard work. Here are some tips from OPEI. 1. Turn off, disconnect. Before winterizing your equipment, make sure it is turned off. Before servicing or repairing any outdoor power equipment, disconnect the spark plug and battery cables. 2. Protect yourself. Wear safety glasses and gloves to protect against harmful chemicals and debris. 3. Inspect the equipment. Make sure safety guards are not disabled or missing. Check for loose belts or missing or damaged guards. Check and tighten all screws and nuts. 4. Clean the equipment. Remove any accumulated grass, leaves and dirt. Use a soft rag or cloth to clean away grime and dirt. 5. Drain the fuel. Many fuels today contain ethanol, which absorbs water and may phase separate, causing operating problems later. If there is fuel in the tank, remove what remains. Run the engine until it stops to use up all the fuel. Get more information on safe fueling at www.LookBeforeYouPump.com. 6. Store leftover fuel properly. Gasoline should be stored no more than 30 days unless it’s treated with a fuel stabilizer. Use a sealed container approved for fuel storage. Always keep fuel out of the reach of children and away from heat sources or flames. 7. Lubricate, sharpen and charge as needed. Check the oil levels and blade conditions. Change the oil if necessary. Sharpen lawnmower blades. Inspect the spark plug, replace it and add clean engine oil. Check the air filter and clean or replace as needed. If equipment has a removable battery, take it out and store it in a warm spot. If you have a battery charger, charge the battery before storing it. 8. Service equipment. If you are not comfortable performing some of these tasks or think that your equipment needs additional servicing, take it to a dealer or repair shop. 9. Identify and clear a safe storage space. An indoor storage area will protect equipment from the elements. Your storage area should be cool and dry, and equipment should be out of the reach of children and pets. Store equipment away from pool chemicals, cleaners or fertilizers — anything that could cause corrosion from spills. 10. Properly store supplies. Using approved storage containers for lawn care or yard supplies will help avoid spills. Leftover materials should be stored in sealed containers, so pests are not drawn to them. Keep containers out of the reach of children and pets.